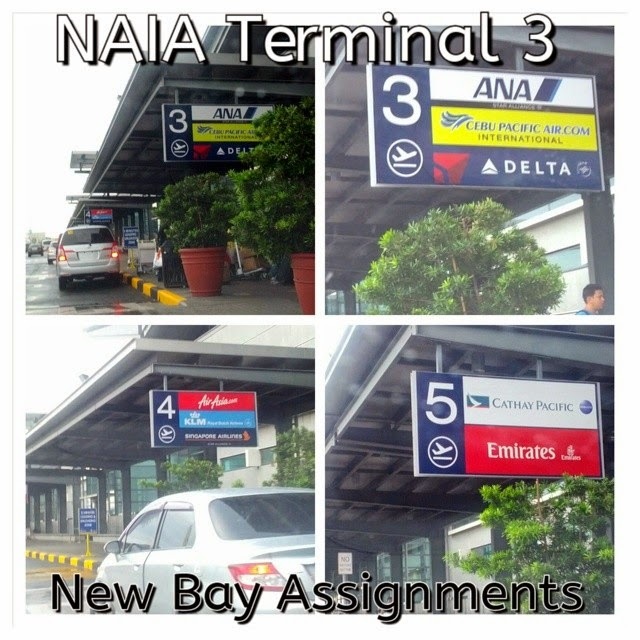 Starting July 31, 2014, 5 international airlines will be transferring from NAIA Terminal 1 to NAIA Terminal 3. They are Delta Airlines, KLM Royal Dutch Airlines, Singapore Airlines, Emirates and Cathay Pacific. In line with this, NAIA 3 which originally used to cater to Cebu Pacific flights now places designated Bay numbers for the increasing and various airlines serviced by this airport.